This study describes the formation of nutrition gardening and pond fish farming communities of practice (CoPs) among small-scale farmers of the Malayalis tribe living in the Kolli Hills region of Tamil Nadu, India. 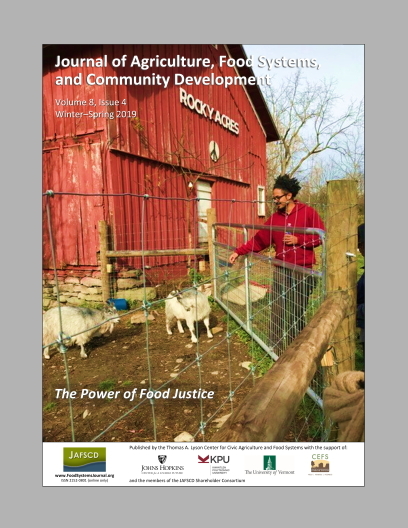 We examine the factors that have shaped the formation of these CoPs, their purpose and function, who is involved, what activ­ities hold these communities together, and their role in strengthening sustainable food production and consumption practices. Data were obtained through participatory rural appraisals (PRAs), key stakeholder interviews, and participant observa­tions during four months of fieldwork. The pri­mary motivations that led the nutrition gardeners and pond fish farmers to become part of CoPs were to improve the health and nutrition of their families and to obtain expert advice in sustainable food production practices. Both CoPs are in the early stages of development and differ not only in the types of food they produce and the skills and tools needed for their success, but also in their structure; nutrition gardening takes place at the individual and/or household level, whereas pond fish farming operates at the group and/or commu­nity level. The ways in which members experience being in a community also differs. Nutrition gar­deners rely on open-ended conversations and community creation through relationship building; in contrast, fish farmers find that group meetings and maintaining transparent record-keeping are most important. Sustainability of these practices and the CoPs depended on factors internal to the communities (e.g., leadership, knowledge mobiliza­tion) as well as external factors (e.g., rainfall and market potential).